The National Agency for the Prohibition of Trafficking in Persons (NAPTIP) has identified human trafficking as one of the components of terrorism. NAPTIP Director General, Julie Okah-Donli, warned that the trend is a major threat to good governance and the rapid economic recovery of any nation, a statement by the agency said on Thursday. “Gaps in national security portend a great threat to social and economic goals,” she was quoted as saying while delivering a paper titled ‘Mass Exodus of Youths and National Development: A Case of Nigeria – Libya – Europe Migration Trend’ at an event in Delta State. “Research has proven a strong link between weak migration system and insecurity as migrants sometimes become objects of criminal exploitation. “Nigerian government over the years and particularly, under the current administration holds a unique philosophy for national security which is to establish a safe and secure environment,” Okah-Donli added. She also identified illegal border crossing, document forgery, abuse of human right, kidnapping, money laundering, drug trafficking, weapon trafficking and violence against persons (VAPs) as offshoots of human trafficking. According to the NAPTIP DG, these also serve as major components of illicit crime networks capable of breaching and sabotaging the positive elements of national security. She revealed that Delta State ranks third among source states for victims of human trafficking, coming after Edo and Kano states. 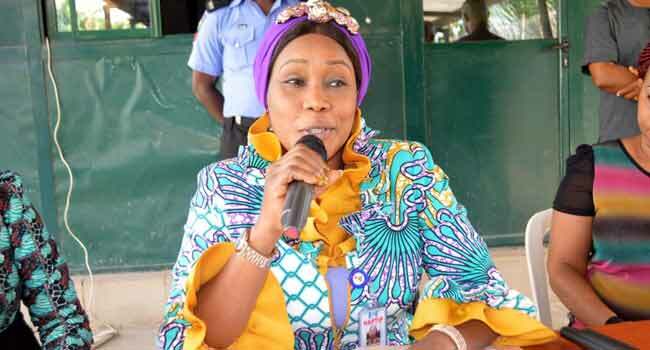 The NAPTIP boss proposed that human traffickers should be treated as enemies of the state while the phenomenon should be tackled the same way as the fight against terrorism in some parts of the country. She decried that victims of human trafficking were ready tools in the hands of any trafficker who could use them for nefarious purposes, including activities that pose a threat to the security of the nation. Also addressing the audience, Governor Ifeanyi Okowa of Delta decried the rate of human trafficking in the state. He urged parents to advise their children to stay in the country and avail themselves of the available opportunities that would better their lives. Governor Okowa stated that embarking on a deadly journey was not the best alternative to any challenge that may be confronting the nation. The event was organised by NAPTIP in partnership with stakeholders to enlighten Nigerians across the six geo-political zones of the country on the dangers of human trafficking, child labour and irregular migration among others.